If you’re lucky enough to be taking a holiday on a Greek yacht charter, then you’ll want to pack suitably for the duration. Here’s our guide to getting it right. Remember that there may not be lots of space for luggage, so choose wisely! The things you’ll need to take will depend on the type of sailing you’ll be doing, your experience and personal needs, but these tend to be key areas to cover. 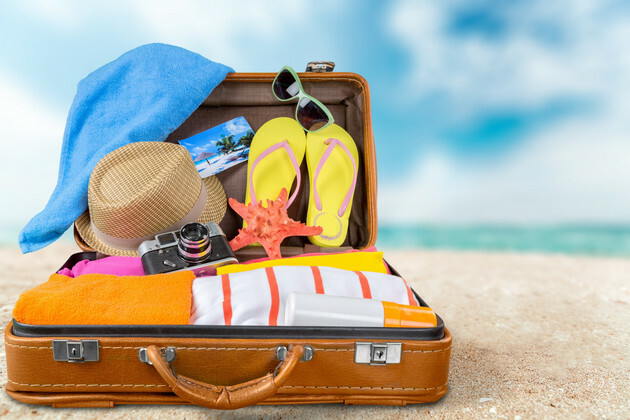 Warm-weather sailing holidays tend not to need many clothes, and you may find that towels, swimsuits, shorts, t-shirts and something suitable for evening dining will cover it. Bring a waterproof jacket too for any squalls and winds, and don’t forget sailing gloves, as they’ll protect your hands from callouses. A warm fleece and some waterproof trousers are good if the temperature does dip at all, and bring travel wash to do overnight refreshes of light items as necessary. For shoes, make sure you have sports or deck shoes with good non-slip soles, and have sunglasses, a sun hat and a high-factor sun cream. You’ll be soaking up a lot of UV rays from the water’s light reflection, so don’t get caught short without high-factor sun cream. Flip-flops are great for strolling around on shore. You might find it easiest to buy your toiletries locally on a Greek yacht charter rather than carry everything with you. All yachts will have their own first-aid kit, but it tends to be basic so stock up on any medication or prescriptions that you take at home. Bring antihistamines for bites, antiseptic cream and plasters, insect repellent, motion sickness tablets and so forth. It’s also worth packing some waterproof or plastic bags so that you can separate things out during your stay. Remember to bring your EHIC form and passport, travellers’cheques and a reasonable amount of local currency. You may want to print off copies of your travel documentation before you leave for both legs of the journey, as well as your travel insurance documents. Have emergency numbers written down, and carry a card which will work overseas. You may want to split up your money and cards just in case anything does go wrong with your baggage transfer from the airport to be on the safe side – and carry some essentials with you in your hand luggage for the same reason. Don’t forget to bring a suitable plug adaptor and charger for your camera, smartphone and laptop if you’re bringing one. A book and journal are useful for relaxation, and don’t forget headphones if you like to listen to music. Some people like to pack teabags and other snacks that they love from home too. Choose soft bags which are easier to put away in lockers on board – choose those with wheels ideally for easy transport. Harder-shell cases can be a little unwieldy to store. It’s also a good tip to consult your charter company for a steer on which items will already be included on board – such as towels, for example – and they may well have a template packing list which will make things easy for you. Now all that’s left to do is to enjoy your sailing holiday in the sun!